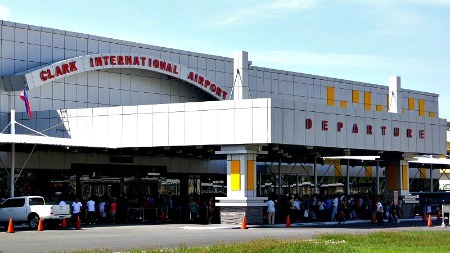 Clark International Airport (CRK) is now one of the safest airports in the country, according to the Civil Aviation Authority of the Philippines (CAAP). This was after CRK earned a citation from the CAAP for its compliance with the Civil Aviation Regulations (CAR) Governing Aerodromes and Manual Standards. Alexander Cauguiran, president of the Clark International Airport Corp. (CIAC), said that the Aerodrome certification is vital to the operations of the CRK, indicating it has passed the international standards set by the International Civil Authority Organization (ICAO) and the CAAP. The Aerodrome certification has set several aerodrome procedures covering safety management system, aerodrome reporting, access to the movement area, aerodrome emergency plan, rescue and fire fighting service, aerodrome inspection, visual aids that include electrical systems, and aerodrome lighting. The procedure also includes movement area maintenance, aerodrome works safety, aircraft parking control, ramp safety management, airside vehicle control, wildlife hazard management, airside vehicle control, obstacle control, disabled aircraft removal, handling of hazardous materials, low visibility operations and protection of radar and navigation aids. In a related development, the CRK has been included in the Communications, Navigation and Surveillance Air Traffic Management (CNS-ATM) system of the CAAP. The CNS-ATM will improve the handling and transfer of information, extend surveillance and improve navigational accuracy. This will lead to, among other things, increased airspace capacity. Starting on Friday, Philippine Airlines (PAL) will start flying daily the Clark-Caticlan route. The daily Clark-Caticlan route will depart at 11:30 a.m. in Clark and 10:00 a.m. in Caticlan. PAL will also commence domestic flights to Davao, Busuanga and Cagayan De Oro and international flights to Incheon South Korea by January 2017. Cebu Pacific and other domestic and international carriers have also announced increased flights and new routes via Clark.